What’s the best way to turn a day people fear into a day people love? Free stuff! 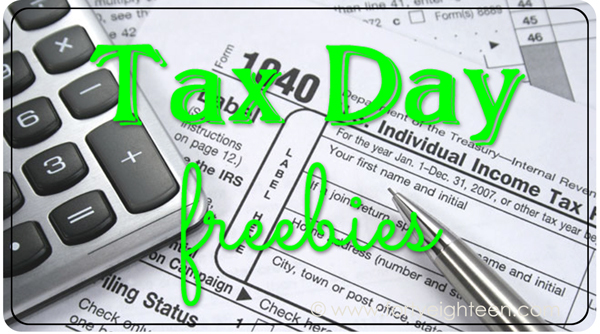 You probably don’t usually think of celebrating tax day, but I love ANY excuse to celebrate – especially when freebies are involved. This is a list of freebies and “cheapies” you can snag today. Happy Tax Day! • Get $10 off your bill at Bonefish Grill with this coupon through April 20th. Do you know of any more Tax Day deals? Which deal are you celebrating with today?